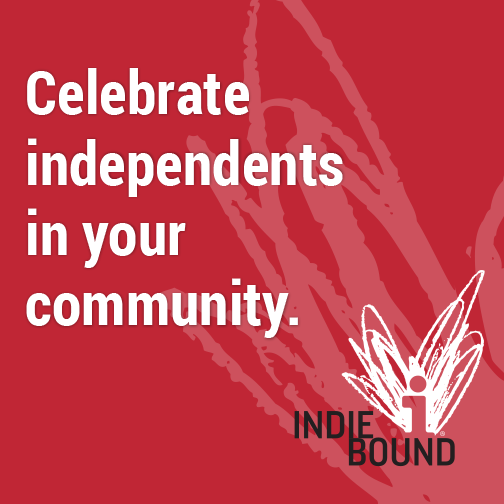 Books are available through your local bookseller (Indie Store Finder) or from online sellers, such as: IndieBound, Powells, B&N, BAM!, Amazon, AbeBooks (used). “A mother robin builds a nest with a little help from nearby creatures[…]Whether “not too big,” “long and strong,” or “soft not soupy,” each new item Robin receives has its own specifications. Thus, the cumulative story expertly reinforces narrative comprehension while also building vocabulary. Fleming combines her signature printmaking techniques with collage to make beautifully textured illustrations filled with natural tones and repeated patterns. The creatures are mostly to scale, some fitting within the book and some extending beyond its pages. Though the animals change with each page turn, readers will enjoy spotting the tiny ladybugs hidden in each illustration. The narrow portrait trim size expands with a final gatefold that flips the structure of the verse to conclude with the new, “rumpled and ruffled” fledglings flying away—a satisfying conclusion. Beetle Bop is no longer being printed, but it is still available in eBook format. Buster is no longer being printed, but used copies are frequently available through AbeBooks or your local used bookseller. Maker of Things is no longer being printed, but used copies are frequently available through AbeBooks or your local used bookseller. “This book is one of the newest in the “Meet the Author” series…In the book featuring artist and author Denise Fleming, Fleming presents a brief look at her childhood and her life, sharing photographs as though the reader were sitting beside her and looking into a photo album while discussing childhood stories together. “Children will likely find it humorous that Fleming shares a grade school report card indicating that she did well academically but needed to improve her behavior, specifically listening attentively and talking out of turn. Also interesting is hearing how family members and childhood classes and activities contributed to her journey toward becoming an artist. These descriptions help child readers imagine how their own childhood lives may be helping to shape their future. Books are available through your local bookseller (Indie Store Finder) or from online sellers, such as: IndieBound (local, independent booksellers), Powells, B&N, BAM!, Amazon, AbeBooks (used). If you are aware of any inaccuracies or omissions, please let me know! I try to keep available formats current, but they may change without my knowledge.